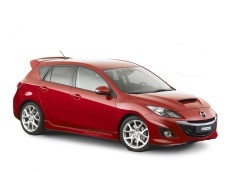 Correct Wheel Sizes, PCD, Offset, Rims and Tire specs for Mazda MazdaSpeed 3 series. 17" wheels fit a MS3? Hello everyone, I am curious to find out if a 17" wheel will fit my 2013 MS3? Thinking about available tires and cost. Pretty sure that smaller tires will be less $$. Has anyone tried to fit 17" or 16" wheels on a MS3? what is the outside diameter of the stock brake calipers for the front wheels? Can I put stock all season 205/60r16 tires on my 2003 Mazda protege Mazda speed? Bolt pattern looks same. They were off a 2006 Mazda 6s. Hi,Marc,For 2003 Mazda protege,the wheel offset is 45mm,but for Mazda 6s,it is 55mm,So,if you want to use it,you need to add some spacers.